Texas ends their packed weekend with a matinee contest in Rosemont. The Wolves faced off against the Rampage last night, falling 5-3 to the division's last place team. They allowed five goals on just 15 San Antonio shots. Chicago has hit a cold streak recently, going 0-3-1 in their last four and without points since November 24th. Despite the Wolves general success in the AHL, Texas has had their number more often than not over the last five years. In nine visits, the Stars have walked out of Allstate Arena with no points just once, going 5-1-0-3 in that span. One key to the Stars success, when they've had it this season, has been their special teams. Most teams shoot for a combined 110 when they add together the PP and PK percentages. With 28.2% on the PP and 84% on the PK, the Stars are beating that 110 by a decent margin. For what it's worth, most don't get close to 110. It's one of those goals that you set as aspirational and you're doing great if you get there. Thirteen teams are above 100 and just five are above 110 as of the current moment. Syracuse leads the league at 114. 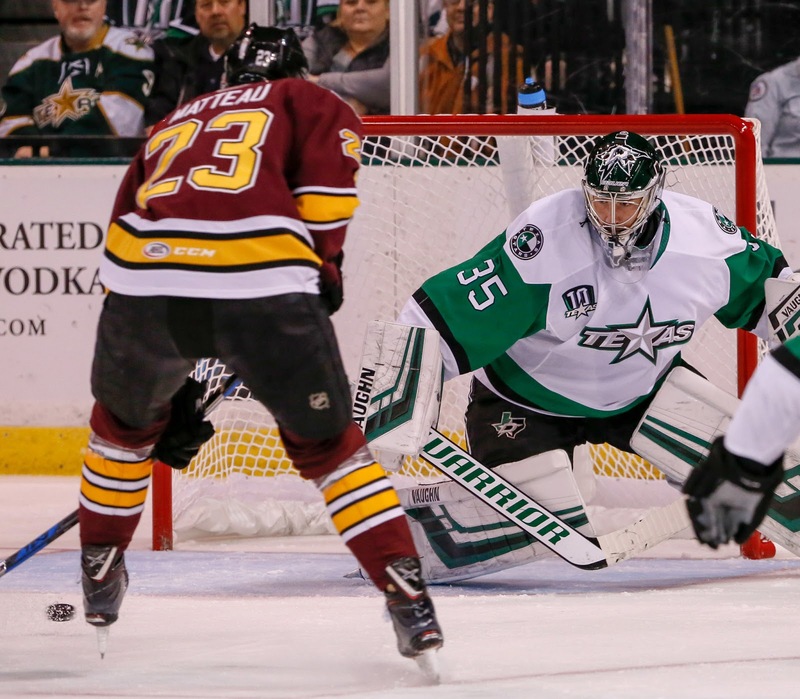 Last night was Oscar Dansk's start in net for Chicago, so chances are Texas will see former teammate Max Lagace in the pipes against them. Meanwhile, Texas has started Landon Bow in back-to-back games this weekend and will have to make the choice between Philippe Desrosiers and Colton Point to start in Rosemont. If it gives any hints, Desrosiers backed up both games this weekend.